Do you want to try something new? Or does your skiis or snowboard need some service? Sport 1 Kvitfjell has shops both on the West and East side of the mountain. Both are completely stocked with the equipment you need to enjoy Kvitfjell to its fullest. Need a quick prep or a complete reparation of your equipment? We have equipment for all types of skiers, even if you have never skied before, our staff will find the equipment suited to your needs. For those of you that enjoy touring up the mountain we have touring equipment (Völkl and Blizzard with Marker Kingpins). We also have cross country and snowboard equipment.  In addition to rental equipment and ski service we also have equipment for sale such as: Oakley, Sweet, Hestra, and Norrøna available. We also have equipment to customize your ski boots. Full prep of ski equipment or just a quick wax? At our workshop, we offer mounting of skis, full preparation of skis or snowboards, boot fitting, and everything in between. Our fully trained staff with do everything in their ability to make sure you are satisfied. Feel free to deliver you skis/snowboard after a day of skiing and rest assured they will be ready when we open the next day. If you need skis to get back to your cabin or apartment you can borrow from us!